Ships today if you order in the next 9 hours 32 minutes. 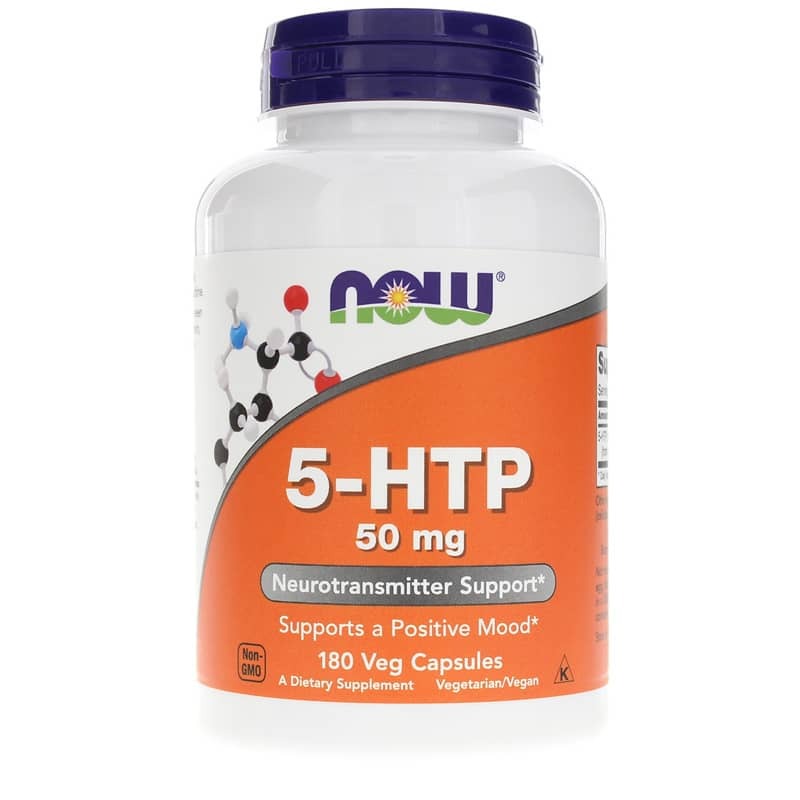 5-HTP 50mg from NOW is a is a Non-GMO, Vegan, Kosher supplement that supports a positive mood. 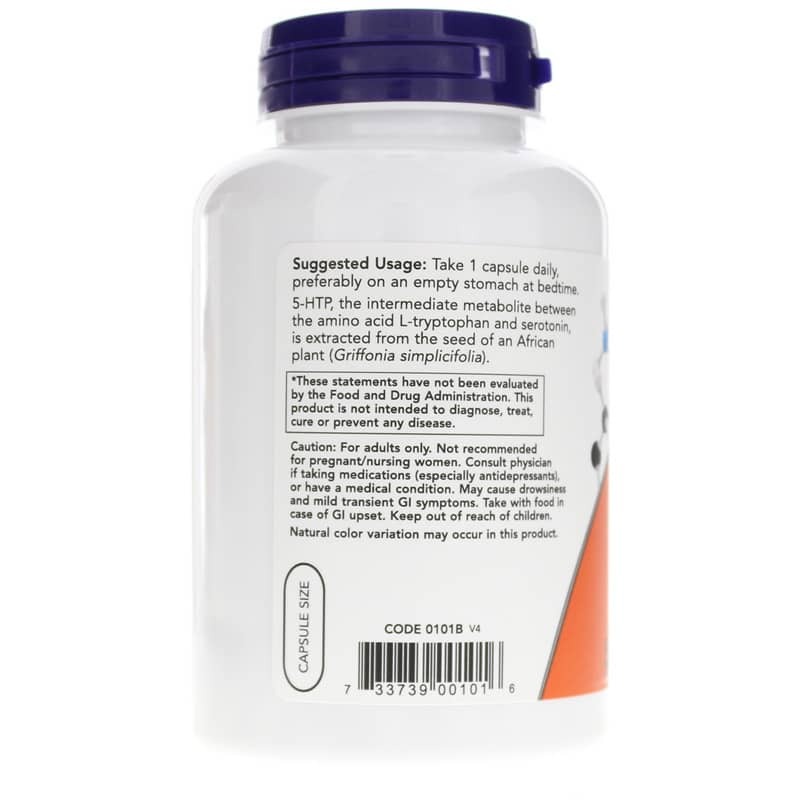 Adults: Take 1 capsule daily, preferably on an empty stomach at bedtime. 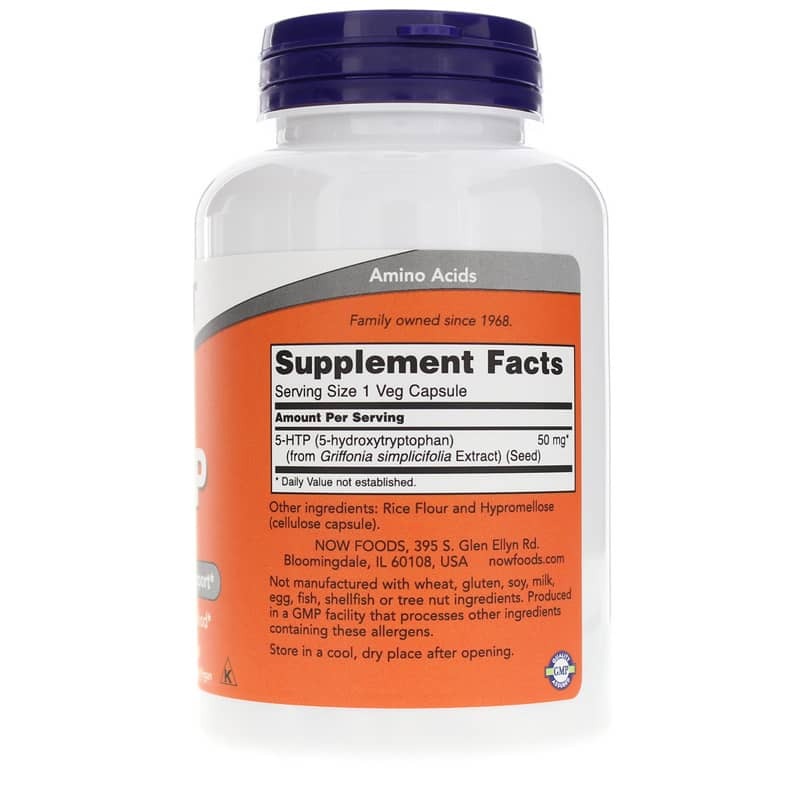 I had none of the positive results I read from other reviews, felt horrible, after only 1 dose. Will never use again. I have been using this brand for years. Very helpful for calming me down and helping me sleep. Helped me break my meth addiction and now I'm back to singing!